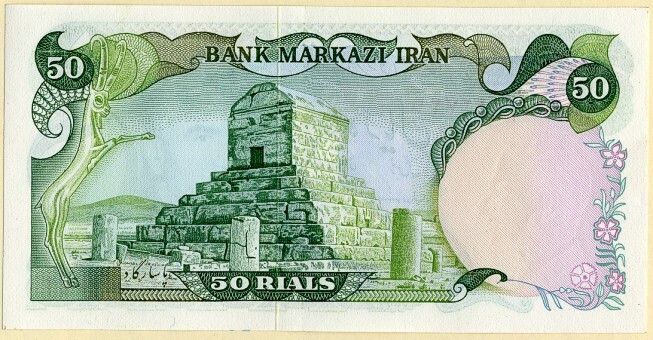 Banknote for 50 Rials from Iran featuring Shah of Iran and the Tomb of Cyrus the Great. These notes were used from 1974 up until the Iranian Revolution in 1979. Uncirculated condition.